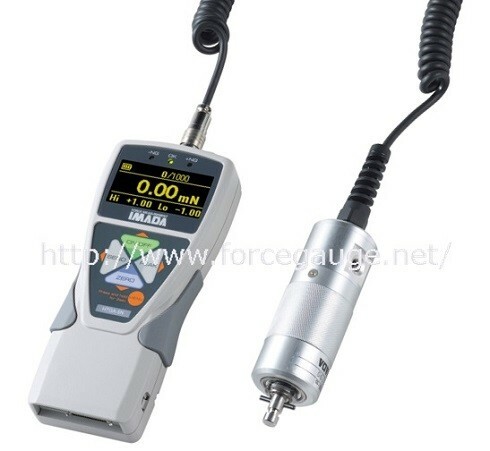 Handheld Digital Torque Gauge | IMADA CO.,LTD. This torque gauge provides you accurate torque measurement and easy data management. IMADA Handheld Type Torque Gauge HTG series measure torque in CW/CCW. The accuracy +/-0.5% F.S. and the 2000Hz high speed sampling rate capture accurate force values of testing. 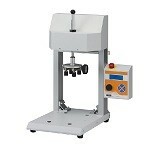 The capacity is 50N-cm to 10N-m(1000N-cm). HTG series equips a lot of useful functions for torque measurement. Peak hold function, Data saving function (up to 1000 points to the internal memory), Pass/Fail decision and more. Also, it is able to recall the saved data such as Max., Min., and Data No. on the display. Many types of output signals are available such as USB, analog, RS232C and more. By the included software Force logger, HTG is able to output the data from the internal memory to a PC. by the optional software Force Recorder (Light / Standard). The average torque value in the internal meromy is automatically calcurated. 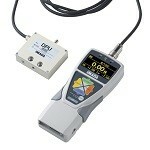 Handheld torque-angle measurement is possible by mounting a custom-made rotary encoder. (Please ask us custom-made order if you are interested in). 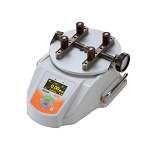 The interchangeable attachment (fixture) helps the measurement for a variety of samples. *Please click the applications for further information. Please see Force Gauge when you need to measure compression or tension force. *2 The recording rate to USB flash drive is selectable among 1, 50 and 100/sec. *3 The battery is more consumed when connected to USB flash drive or a displacement scale. *4 Angle (displacement) scale is necessary to activate this function. *5 Not always available for Mitutoyo digimatic products. *6 USB flash drive is not included.